KBB.com 12 Best Family Cars. Only 47,216 Miles! 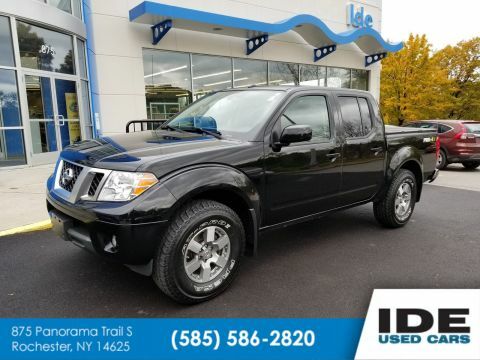 Boasts 25 Highway MPG and 19 City MPG! Carfax One-Owner Vehicle. 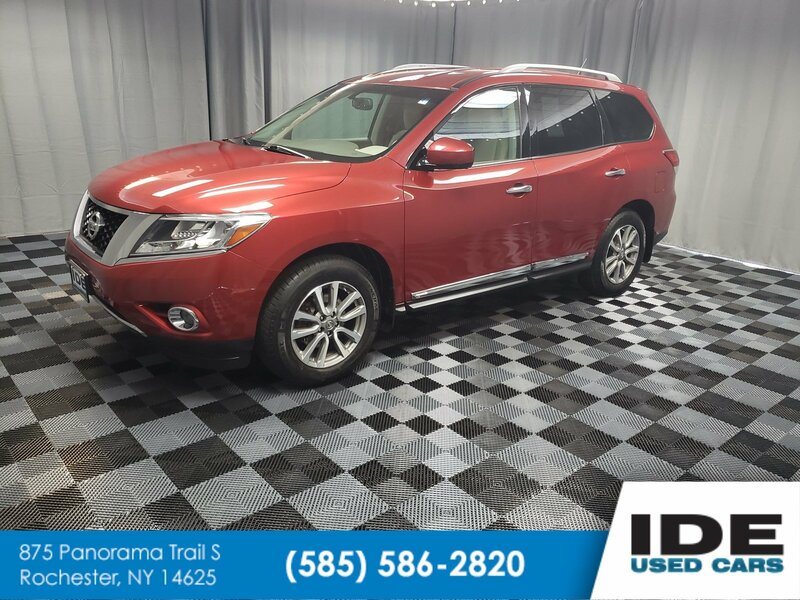 This Nissan Pathfinder boasts a Regular Unleaded V-6 3.5 L/213 engine powering this Variable transmission. CAYENNE RED, ALMOND, LEATHER SEATING SURFACES, [Z66] ACTIVATION DISCLAIMER. 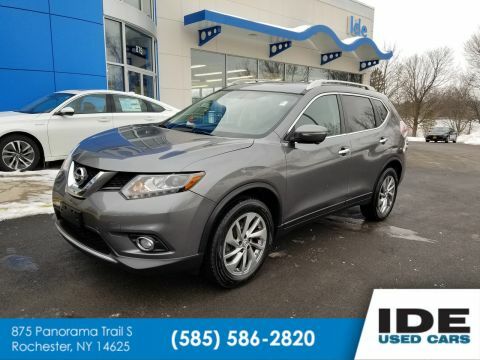 *This Nissan Pathfinder Comes Equipped with These Options *[L92] CARPETED FLOOR MAT (4-PC SET), [B10] BLACK SPLASH GUARDS 4-PIECE, Wheels: 18 Alloy, Valet Function, Trunk/Hatch Auto-Latch, Trip computer, Transmission: Xtronic CVT (Continuously Variable), Transmission w/Driver Selectable Mode, Tires: P235/65R18, Tire Specific Low Tire Pressure Warning. * Know You're Making a Reliable Purchase *Carfax reports: Carfax One-Owner Vehicle, 13 Service Records. * Expert Reviews! 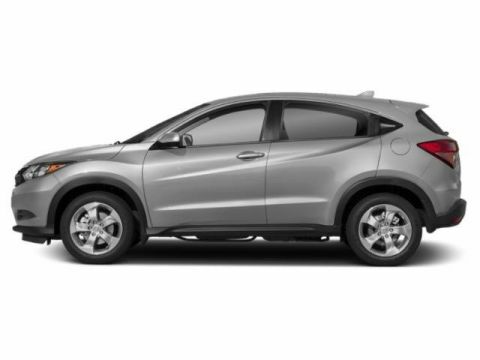 *As reported by KBB.com: Want good fuel economy, room for seven and something more nimble than a Chevy Traverse or Ford Explorer? Put the 2014 Pathfinder on your shopping list. Another feather in the Nissan's cap is its ability to tow up to 5,000 pounds. 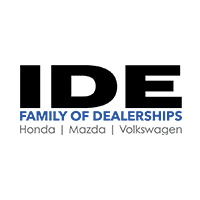 * Visit Us Today *A short visit to Ide Honda located at 875 Panorama Trail South, Rochester, NY 14625 can get you a dependable Pathfinder today!